Skoda Auto-led Volkswagen Group India has set up a new technology centre at Chakan in Pune to drive growth under its India 2.0 project. This Volkswagen technology centre is part of German auto major’s €1 billion (₹7,900 crore) investment plan in India to develop new generation vehicles under Volkswagen and Skoda brand names. The objective is to capture 5% combined market share in one of the world’s fastest-growing automobile markets. 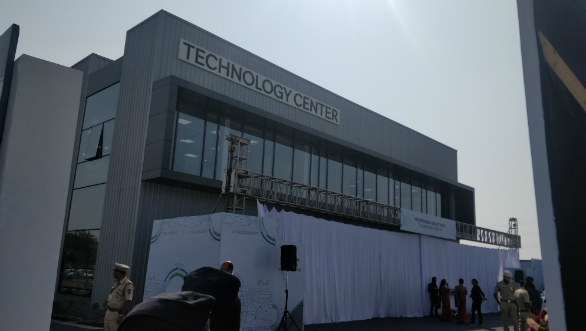 Czech Republic Prime Minister Andrej Babis on Saturday inaugurated the technology centre as this round of growth of the Volkswagen Group is led by Czech company Skoda in India. “I am delighted that Skoda Auto is expanding its base and involvement in India with such significant investment and promising projects,” Mr. Babis said. “The fact that Skoda is creating great opportunities for the high potential market here in India demonstrates long term strategy of the brand,” the Prime Minister said. Volkswagen Group India and the Skoda are jointly investing €250 million (₹2,000 crore) in research and development projects and a large portion of it will come to India.